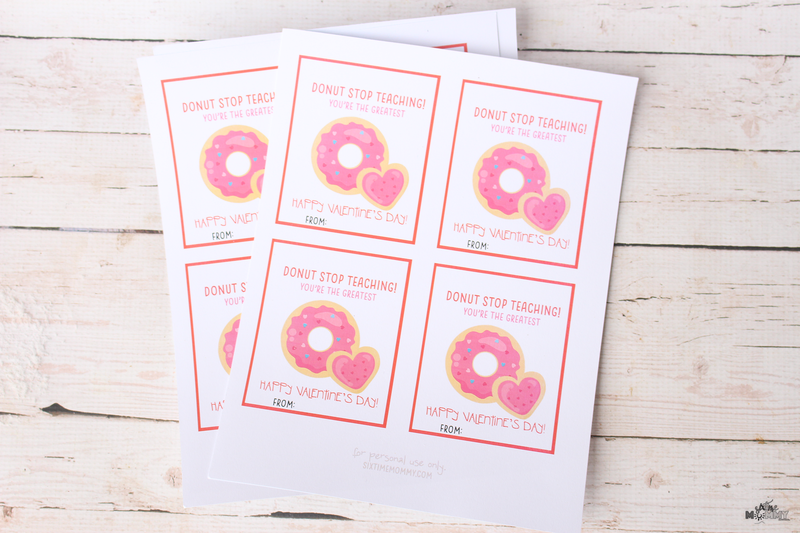 You are here: Home / Printables / Valentine’s Cards + Treats for Teachers With FREE Printable! 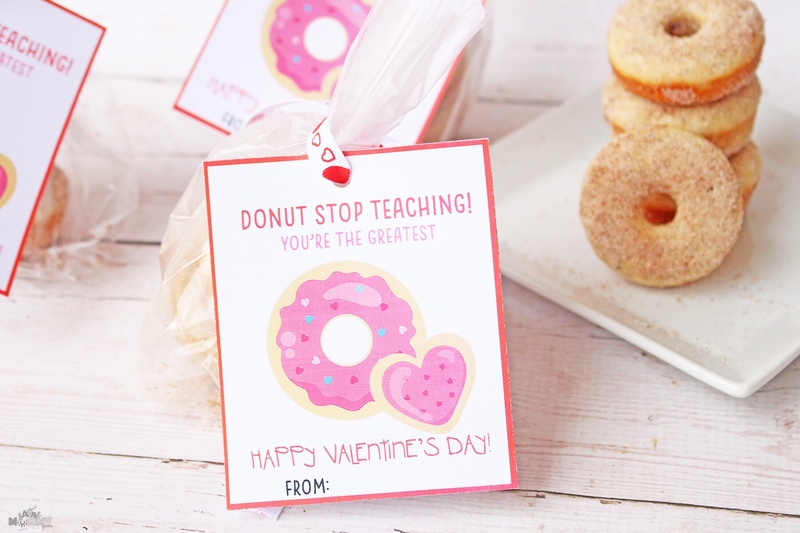 Valentine’s Cards + Treats for Teachers With FREE Printable! 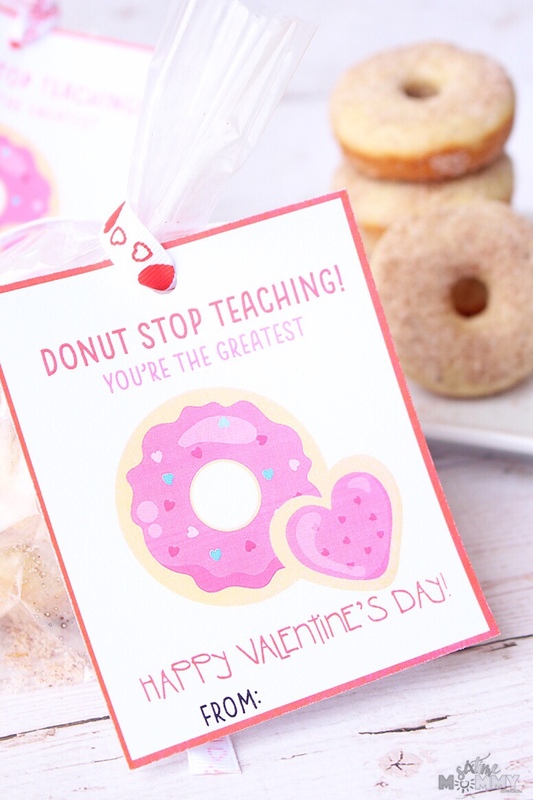 With less than a month left now until the big day of LOVE we, of course, can’t forget teachers! 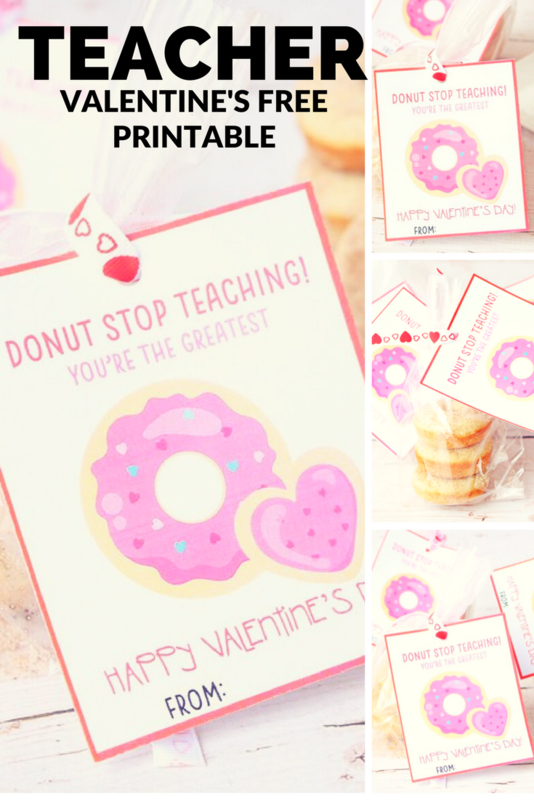 I’ve already posted Candy Free Valentines and a Candy Valentine option both with free printables, but we can’t forget those that spend so much time with our little ones at school! We’ve had our fair share of ups and downs where school is concerned but this year – all my kids have fantastic teachers. We want to make sure they feel the love on Valentine’s Day too. 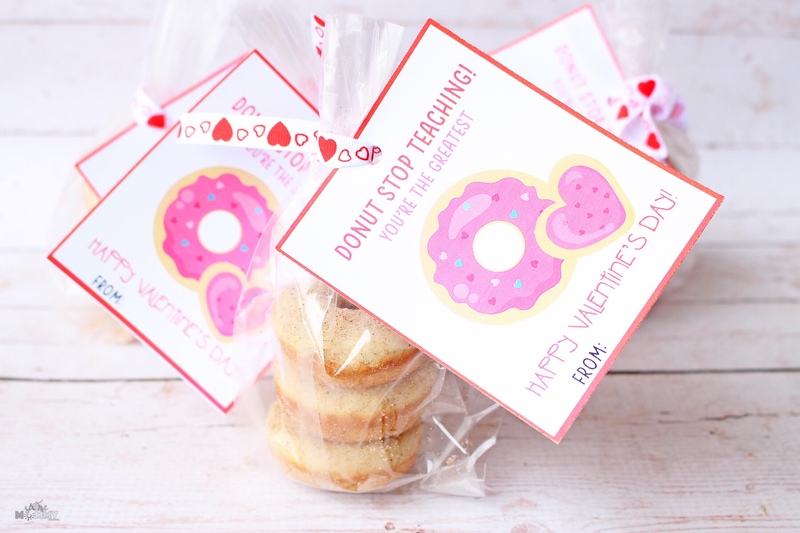 So, this is why I made this free printable and yummy treats for the teachers. The donuts are not my recipe they are from here. 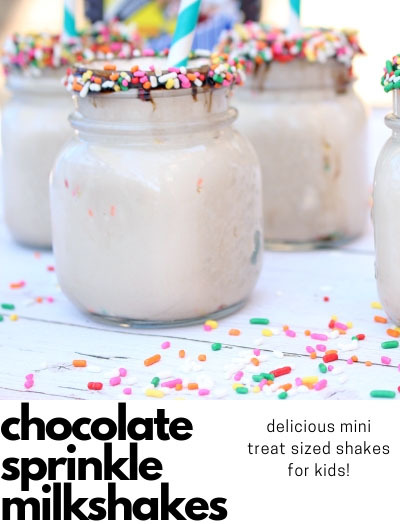 If you’d like to get the recipe head over and take a look! They are yummy; my kids gobbled up all the extras. I made these as mini donuts so I could fit three perfectly in a snack bag! Recipe for donuts can be found, here. 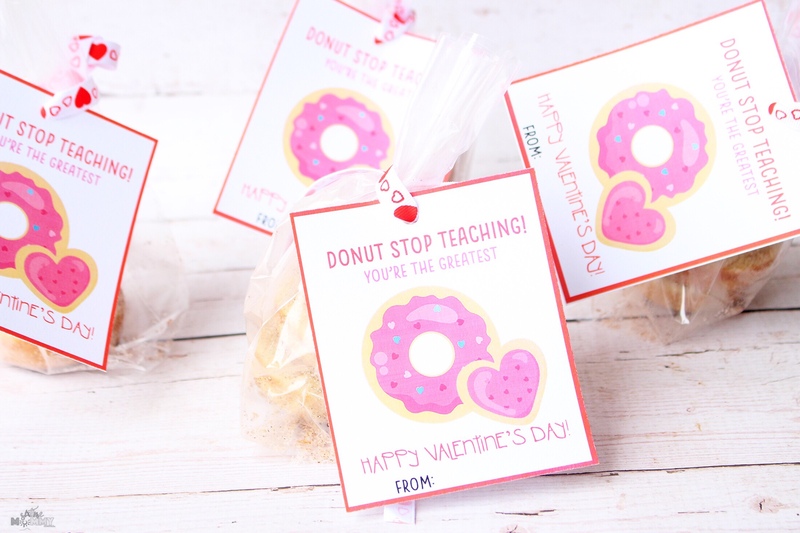 Print out the printables, hole punch the top of each card, thread the ribbon through the hole and tie around the cellophane bag. Then viola! Super cute treat bag. Teachers get mugs and gift cards like crazy. It’s time they get a nice sweet treat for themselves. I figured donuts would be the perfect option. To have with their morning or evening cup of coffee or tea. Don’t they look adorable? 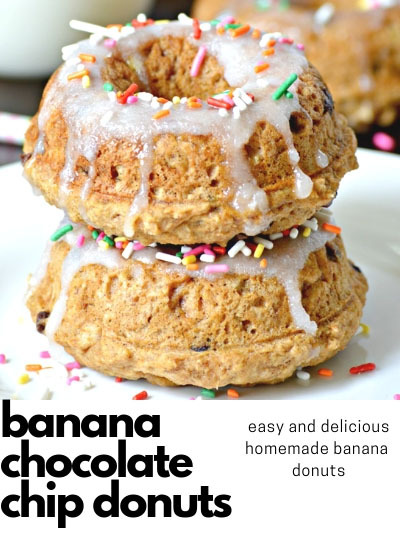 I know not everyone has the time to make donuts so even store bought is great! These are mini donuts, and I put 3 in a cellophane goodie bag (purchased at Bulk Barn!) and some cute Valentine’s Day ribbon to tie them off! LIKE THIS? PIN FOR LATER! 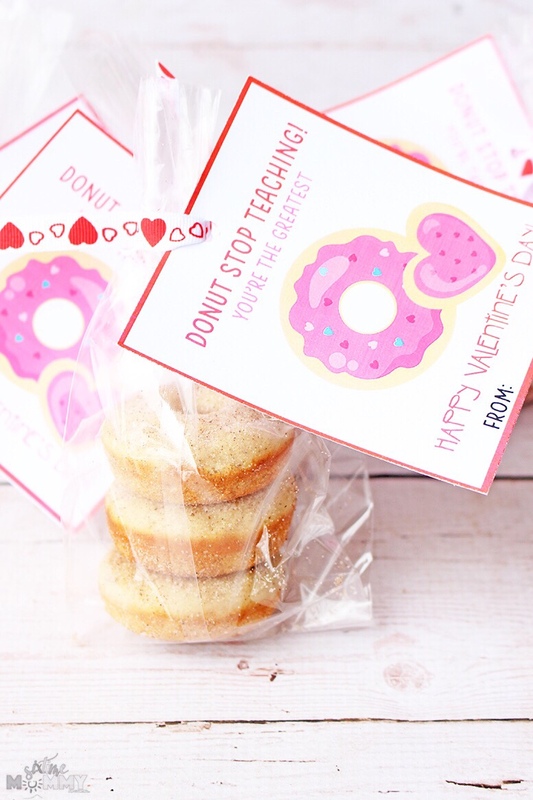 What do you think of giving teachers little treats for the holidays too?